Slick hands with this uplifting treat and keep them fresh and silky soft. Perky notes of lush Pear mingle with the lemony fresh succulence of Magnolias smooth, pale pink petals to lift the senses. The richly nourishing Shea Butter and Ceramide formula soothes and protects, lightly sealing skin with moisture boosting hyaluronic acid. Team it with our Pear & Pink Magnolia Hand Wash as part of a cleanse and condition regime, or pop it in your bag to give hands a boost on the go. 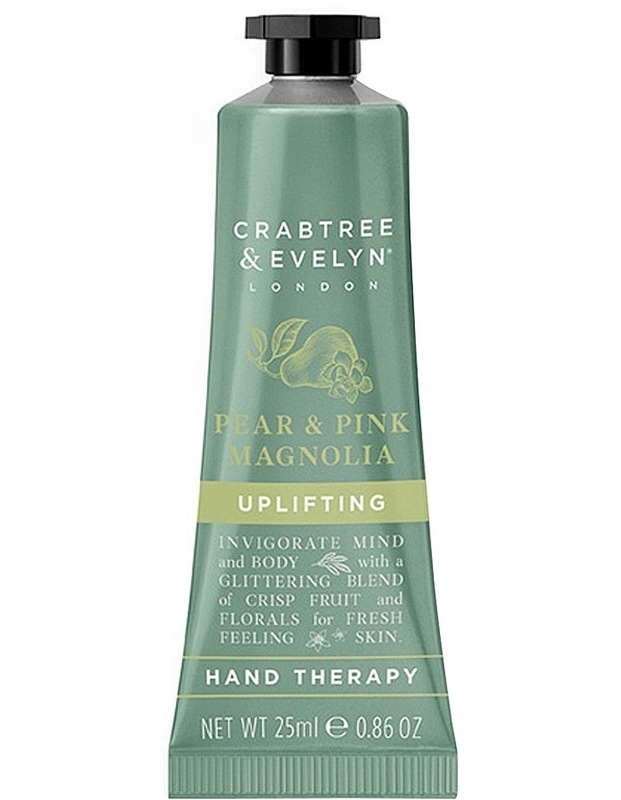 Usage Tip:For instant comfort, massage a pea-sized amount into hands and nails as required. Fragrance: Perky notes of lush Pear mingle with the lemony fresh succulence of Magnolias smooth, pale pink petals.